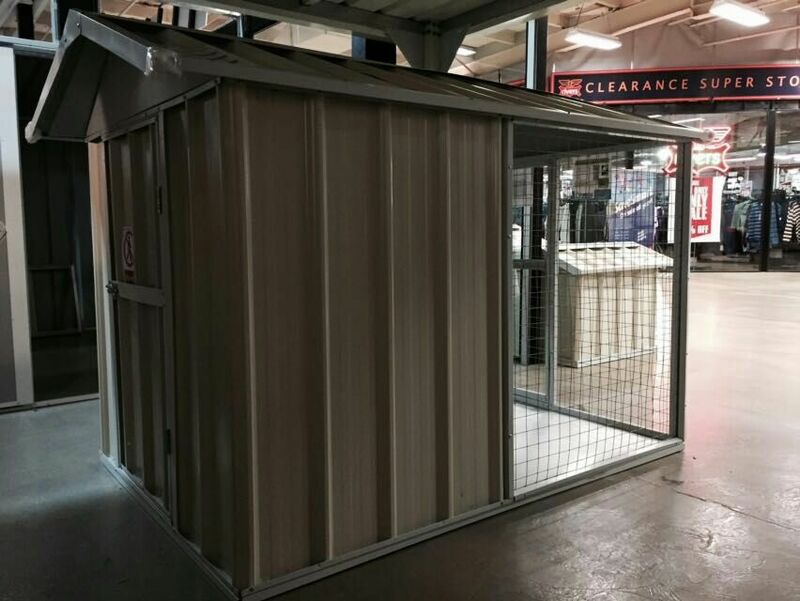 Caged dog kennel with a caged front section and a enclosed back section. 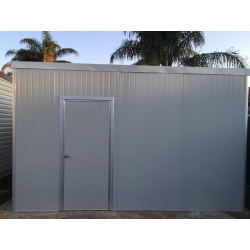 Features 1 front lock-up door and 1 back-access door. 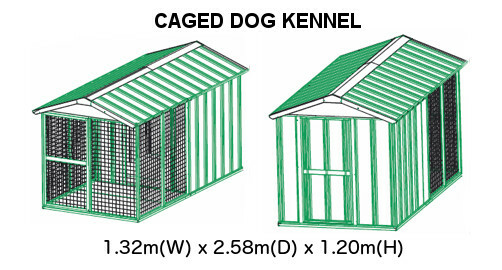 Ideal for medium to large size dogs. 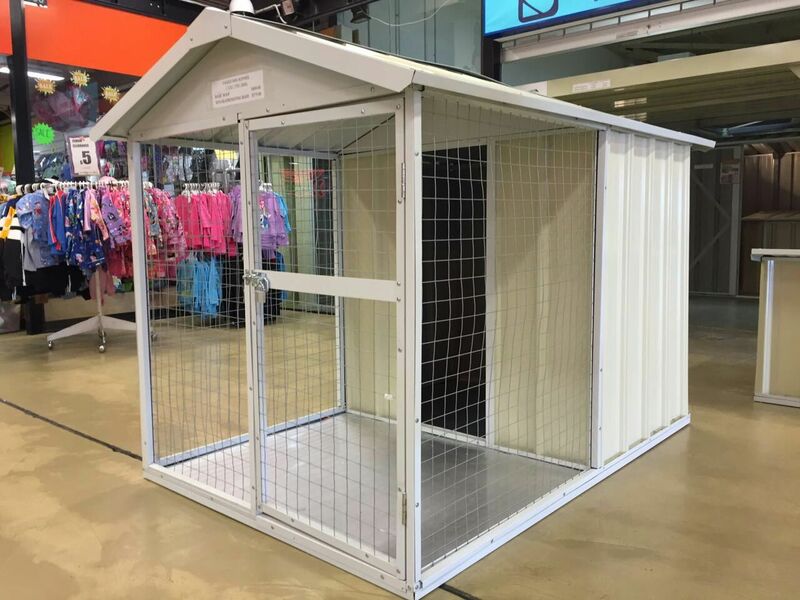 Made from strong and durable steel panels our Frameshed dog kennels keep your furry friends sheltered and protected. 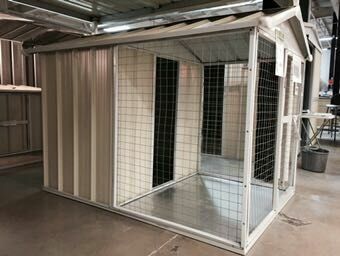 Available with sun heat-resisting roof to protect pets during hot summers! 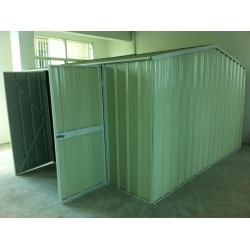 Features 0.35mm thick, high-grade coated steel sheet. 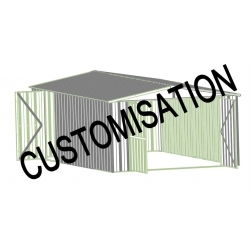 Please note that because the caged panels are pre-assembled, this item will be in delivered larger flat-pack boxes. Hence, the delivery cost will be $149. 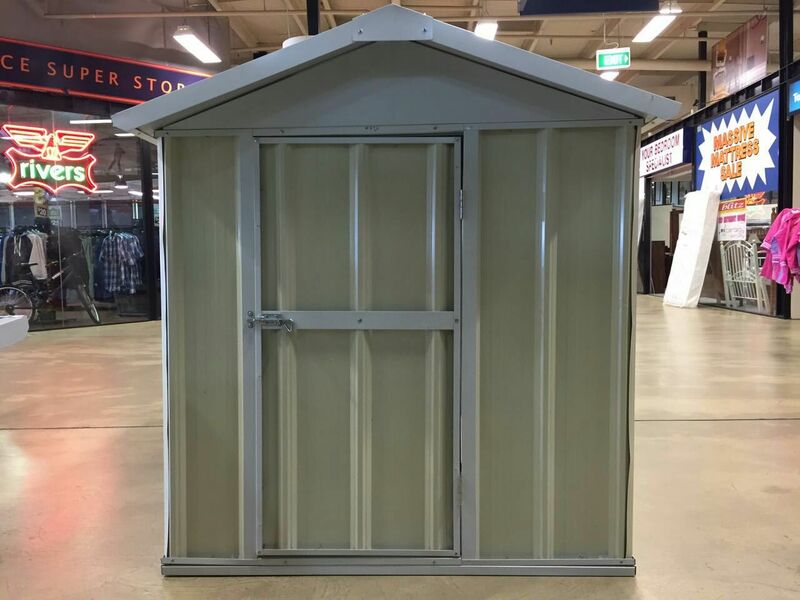 A New Era of Shed. 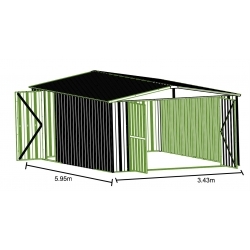 Frameshed redefines backyard sheds and garden storage. 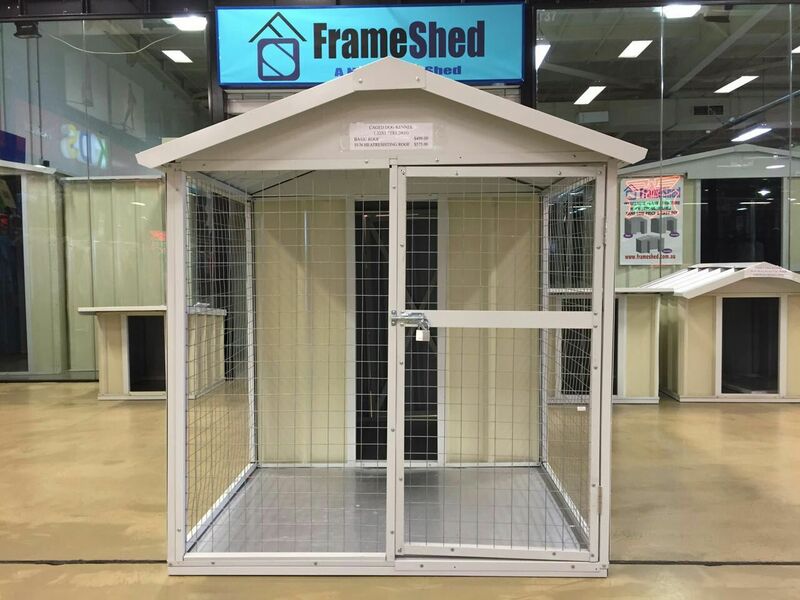 All Frameshed products incorporate its unique patent-pending integrated frame structure, which results in superb strength and durability. 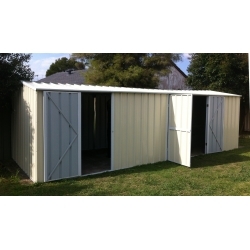 With 3 standard styles each with numerous size options, Frameshed storage sheds will fit all backyards, big or small. 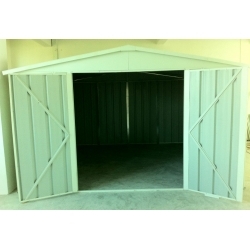 All sheds are available in either Economical or Deluxe range, catering to different budget needs.